***Check out the Improved Price, UNDER APPRAISAL!! 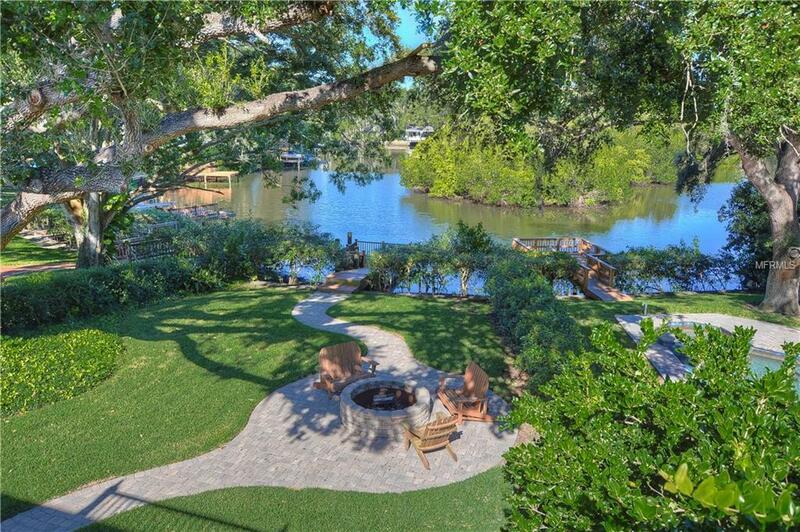 ***Fall in love with this elegant, South Tampa WATERFRONT home. You will not find a nicer lot in this price point! This KEY WEST design has a large front porch overlooking the park-like front yard. The downstairs features a formal library, dining room, family room, kitchen with granite countertops, stainless-steel appliances, gas range, and butlers pantry. All four bedrooms are upstairs. One of the secondary bedrooms (20x18) is currently used as a HOME THEATER ROOM with built in murphy bed, full bath, and retractable 80 Home Theater System with surround sound - could easily be used as a SECOND MASTER SUITE. Wait until you see the master suite with private sitting area, gorgeous master bath and private balcony master overlooking the water. The backyard is AMAZING with two porches (one screened lanai, one open deck), lush landscaping and fire pit with custom paver walkway. The gas grill is connected to natural gas and has an outdoor shower. Feed the manatees or fish from your FLOATING DOCK in your own back yard! The home has an unobstructed view of the Island and Spring Lake with direct access to Tampa Bay. *Note low bridge between the home and Bay*. Open water price would be well over $2 Million. "A" rated Mabry/Coleman/Plant Schools. Canal and dock area was recently dredged and the City of Tampa just finished a long term drainage project to alleviate street flooding issues. Both A/C systems replaced 09/18. Additional Water Information Home Sits On Spring Lake - Which Connects To Tampa Bay. There is A Low Bridge At Westshore Which Limits Access By Boats. Small Boats Are Best. Area Recently Dredged By The City And The Owner Paid For Additional Dredging By The Dock.